THIS TOOLKIT EMERGED OUT OF DISCUSSIONS THAT BEGAN IN BOSTON IN MARCH 2002. Members of Critical Resistance (CR) and partner organizations gathered for a roundtable discussion on abolitionist organizing strategies. One of the things that we agreed we needed to strengthen our work was a set of ideas, exercises, and resources to share with the people we organize with that would explain the idea of abolishing the prison industrial complex (PIC) and would help us take concrete steps toward that goal. The kit is not a step-by-step guide to PIC abolition. 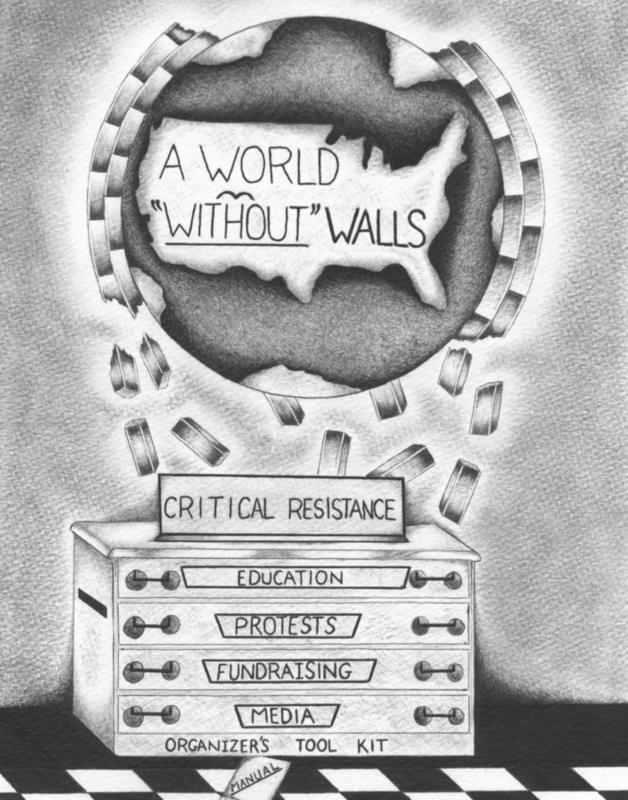 It is a kit designed primarily for U.S.-based community organizers already working toward abolition and our allies. However, we hope it will be useful even for people who may not have thought much about abolition or who feel unsure about how useful it is as a goal. We have put the toolkit together to be used as a whole or in pieces, depending on the situation. It could be used to help structure a roundtable discussion, like the one we had in Boston. You could pull out individual information sheets or exercises to use in a workshop. The kit could be used as a set of training materials to help people understand the idea of PIC abolition. It could also work as a set of materials to help strengthen ongoing abolitionist organizing. Finally, this toolkit is not an ending point, but a place to start thinking about these issues. It is a living document that you should add to continually as you discover more ideas and materials that help you take concrete steps toward PIC abolition. If you come across an exercise that you think gets to the heart of the issue, send it our way. If you hear about a great group working to end the PIC, let us know. If you develop pamphlets or talking points or keywords that make doing this work easier, give us a call. We need as many tools as we can get to fight this fight. Please use the feedback forms at the end of this kit to help us keep making it a more useful tool. Make as many copies of that form as you like and keep the feedback coming.